Ireland has plenty of natural resources to enjoy with 3,000 kilometres of coastline, over 40 mountain ranges, 37 rivers, 6 national parks and countless glorious beaches. There are lots of things to do in Ireland, especially if you’re not afraid to get your feet wet. 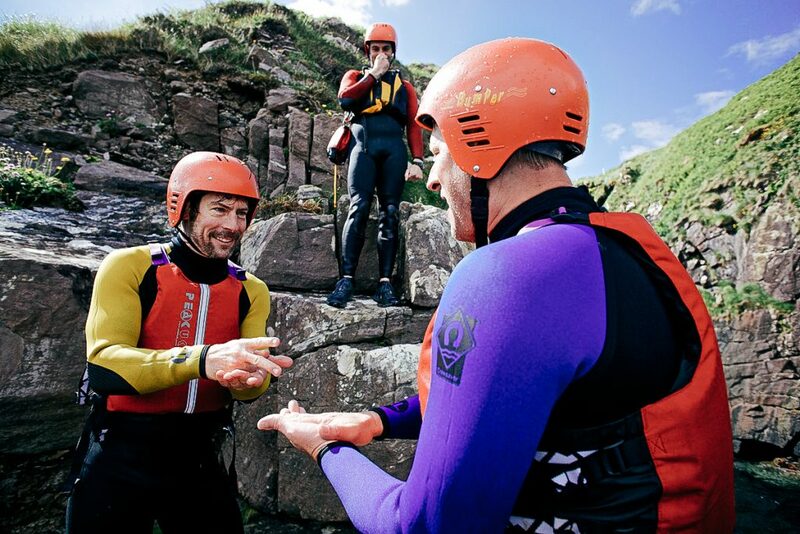 There are lots of opportunities for kayaking and canoeing in Ireland’s seas, rivers and lakes. Explore sea caves, islands and secret coves off the coast of Co. Waterford, or take a midnight kayaking trip through Co. Kerry’s Gold Tier International Dark-Sky Reserve for some of the best stargazing in the Northern Hemisphere. See Canoe.ie for more on centres and clubs. The excess of coastline and no shortage of wind makes for some terrific surfing in Ireland, and the sport has grown increasingly popular in the past decade. You’ll find surf spots all along our coast, but most famously in the west of the country like Lahinch in Co. Clare, and Bundoran in Co. Donegal. For the more advanced surfer, try Mullaghmore, Co. Sligo—one of the best big wave surfing locations in the world. You’ll also have access to a range of other on-the-water-activities in Ireland, such as windsurfing, kitesurfing and wakeboarding. Of course, being an island, Ireland is also fantastic for diving – with almost 40 dive sites around the coasts of the Atlantic Ocean and Irish Sea. Whether you’re interested in trying snorkelling for the first time, becoming a scuba instructor or joining an underwater hockey team (yes, really), check out the Irish Underwater Council for more information. There is an almost infinite number of routes for walking, running, hiking and biking around Ireland and you’ll find most of them on Irish Trails which lists over 4,000km of National Waymarked Trails. Follow routes through hills, mountains, forests and glens all over the country. Prefer to travel on two wheels? 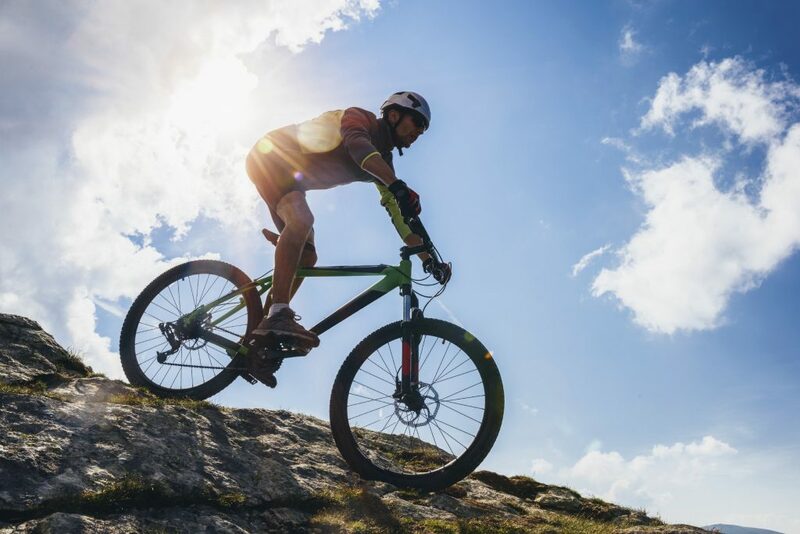 There are lots of options whether your idea of a fun ride is a smooth coast by the beach, a challenging lap around the Ring of Kerry or hurtling down a muddy mountain at top speeds. Join a local group, or grab your bike and go solo. Check out Biking.ie for information on day tours, lessons, bike rentals and events. Or what better way to see Ireland than on horseback? Whether you’re looking for a riding school or just want to try a one day trek, you’ll find equestrian centres nationwide that cater to all levels. Take a sightseeing ride through the Burren or go for a trot along the strands of Co. Wicklow. See Irish Horse Riding for more. If you get bored of the ground, there’s lots to do above (or below) sea level. If you’d like to stay high and dry, you’ll be pleased to know Ireland has plenty of mountains for climbing. Those looking for a challenge can try Ireland’s highest mountain, Carrauntoohil (1,028m) in Co. Kerry. Or join in on the annual pilgrimage to Croagh Patrick, Co. Mayo, where each July, thousands of people climb to the summit in their bare feet. Rock climbing and bouldering have become increasingly popular, meaning there are now plenty of indoor centres for you to practice before taking your skills outdoors to rockfaces and cliffs around the country -see Mountaineering Ireland for more details. If you’re looking for something a little deeper and darker, head underground on a caving, (also known as potholing), adventure. Ireland has some spectacular caves to explore, particularly in the midlands of Co. Cavan and Co. Fermanagh, and Co. Clare, where the unique limestone environment is home to tunnels with incredible rock formations. For those feeling a little more tame and who would like to keep their shoes clean, there’s always golf. In fact, Ireland is a golfer’s paradise. One quarter of the world’s real links courses are located on our small island, including the Royal County Down, which was recently named the world’s greatest golf course by Golf Digest. Ireland has hosted many golfing championships and the world’s top golfers return again and again to tee off on our greens – many of which have incredible ocean views. For more information on where to play or take lessons, check out Discover Ireland’s golf guide.